Hats off to Outrigger Fiji Beach Resort’s Bebe Spa for marking a 10-year milestone! 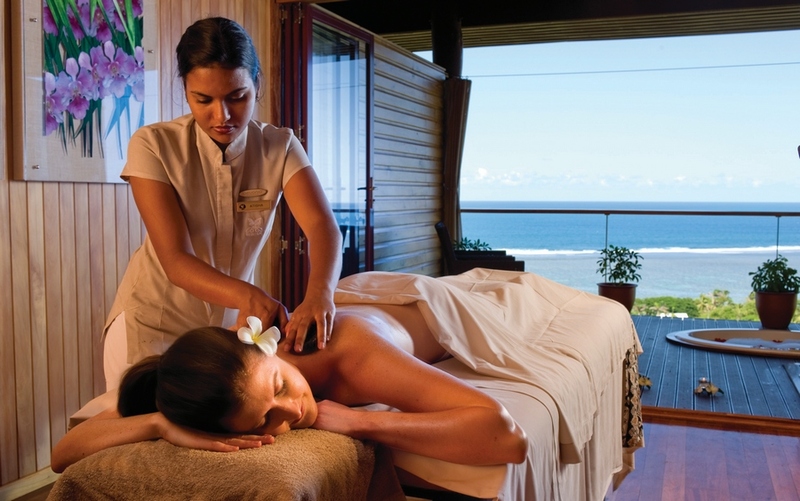 The world-class spa is a captivating feature at Fiji’s beachfront resort. Aptly named, Bebe is the Fijian word for butterfly and also means ‘your cocoon’ or ‘your sanctuary’ which reflects the spa brilliantly! The treatments offered at Bebe Spa combine signature Fijian treatments with modern techniques while using the world’s finest spa products from Pevonia Botanica and the all-natural products from Pure Fiji. Bebe Spa is situated in a peaceful sanctuary atop Vakalomalagi Hill (or Heavenly Hill if you ask a local) overlooking the resort. The relaxing and soothing atmosphere helps you unwind the moment you walk through the door! The accolades Bebe Spa has received over the years show just how passionate and committed the professional and trained team are! The spa received the Winner of Excellence awards from TripAdvisor in 2015 and 2015, as well as qualifying as a finalist for Fiji Experience at the Tourism Fiji AON Awards in 2013, 2014 and 2015. In 2011 and 2013 Bebe Spa was the winner of the Australasian Spa Association Best Destination Spa (Resort). The Bebe Sanctuary Spa Manager, Praveen Dewan, tells Fiji Times that when she began working at Bebe Spa there was only seven staff members. Today there are 25 Bebe Spa staff members, 8 treatment rooms, ‘Showers in the Sky’, hydrotherapy tubs and over 30 different treatments to choose from! Bebe Spa at Outrigger Fiji Beach Resort Bebe Spa is the perfect place to unwind on your Fiji holiday. Some My Fiji holiday packages based at Outrigger Fiji Beach Resort come standard with Wine, Dine & Spa Credit, meaning your spa treatment can be included in your holiday package! Get in touch with the My Fiji Holiday Experts today to book your Fiji escape to Outrigger Fiji Beach Resort – your cocoon awaits you!